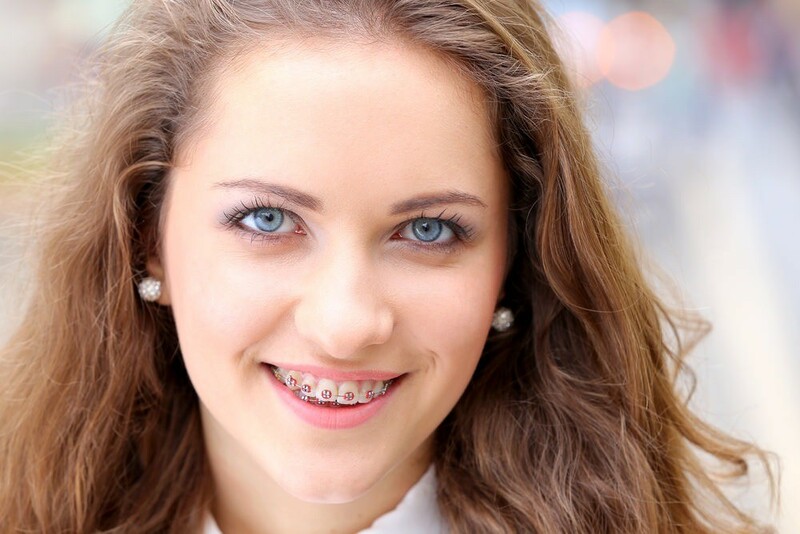 Dublin Orthodontist offer a wide range of treatment options for your child or teenager, from traditional metal braces, retainers, through clear or see-through braces, aligners, and Invisalign. We believe everyone deserves to have a perfect smile, and offer affordable treatment plans that will help set your child up for the future with good oral health, and a happier, healthier smile. Orthodontic treatment has the best results on young mouths. During the adolescent growth phase; typically from 10-13 years for girls and 11-15 years for boys, your child will normally have already developed all their adult teeth, but will still be rapidly growing. At this time we can begin to detect possible issues such as crooked teeth, overbites, or gaps, and take advantage of their growth to quickly correct these problems. Retainers and braces for kids help to reshape the appearance and function of their teeth, gently and gradually guiding them into proper alignment. Starting early with good dental habits is vital to ensuring your kids teeth last a lifetime. Braces go a long way to achieving this, as they will correct any alignment or spacing issues your child has in their teeth now, and prevent problems like gum disease developing in the future. The main way they do this is by making their teeth much easier to clean. When you have crowded or crooked teeth it can be difficult to floss between and efficiently get rid of built up plaque, which can eventually develop into serious oral health issues. Overbites and under bites can also put undue stress on the teeth, and misaligned jaws can lead to teeth grinding and clenching. When your teeth fit together nicely, it is much easier to chew, which is not only better for enjoying your favourite food, but also for relieving stress on your jaw. The pressure from eating is then more evenly spread and your teeth won’t be forced in unnatural ways. Best of all, getting braces at a young age will give them a much more attractive smile that they can feel confident about. This helps to boost their confidence at a much needed time of their lives. Our aim at Dublin Orthodontists is to provide expert dental treatments in a friendly, caring environment. We know that a lot of children, and even adults, dread visiting the dentist, so we do everything we can to make the process as smooth and easy as possible. Our orthodontists will talk you and your child through the process and make sure everyone is comfortable at every stage. We will also coach children on the proper techniques for brush and flossing while wearing braces, and how to properly care for their teeth after so that they are set up for a good oral health future. The best braces for your child will depend on their unique set of teeth and dental problems. At Dublin Orthodontist, we take a personalised approach, making sure to find the right treatment plan that will deliver the best result and is suitable for your budget. The most common orthodontic treatment for overbites, under bites, crooked, or crowded teeth is traditional metal braces. These fasten to the front of the teeth and are gradually tightened over time to help bring the teeth into their proper alignment. We make these braces fun for kids with different coloured bands that can be swapped out at each appointment. After braces, kids will normally wear a removable dental retainer for a period of time, which also come in a range of colours and styles. The length and type of treatment required varies from child to child, so to find out more it is best to come in for a consultation.